A Cascadian Resilience Gathering is growing in the woods of Southern Cascadia. The Guild of Scholars, Scribes and Independent Posties (G.O.S.S.I.P.) has called this gathering during the week of September 9-15, 2013. 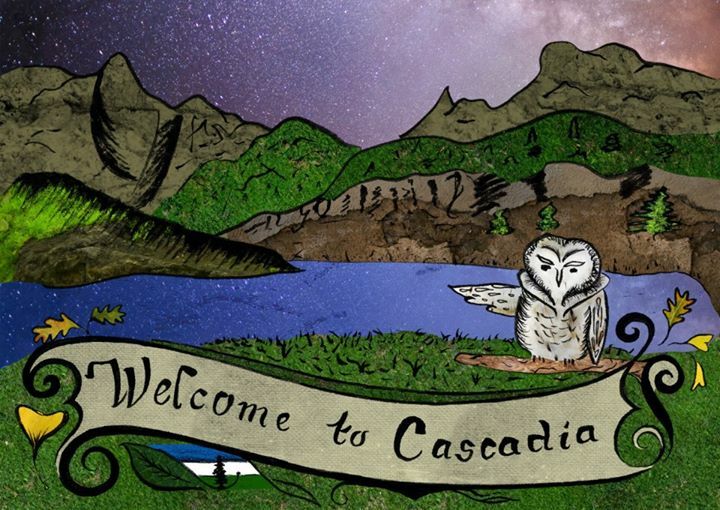 They intend to create a safe time and space for Cascadians to share important information pertaining to resilience and networking in a uniquely Cascadian setting. .The site has a spring and plenty of parking and camping space. , where they will be laying water lines, tapping springs, setting up water filters, building community kitchens, erecting workshops and common spaces. By this time, there should be a lift on fire restrictions, and if so there will be community fires. Groups are invited to add to the village as they wish to design their camps. RumorZ Cafe will be providing a community kitchen and coffee shop. The Guild will be providing a workshop and library space. , where there will be holding space for individuals with skills and ideas to share to do so in community. Groups are asked to to consider what they have to offer. Some proposed skillshares so far: cordage, treeclimbing, photovoltaic/solar hacking, foraging, knackery, slings, bowmaking, sewing, navigation, shelterbuilding, horizontal facilitation, and banjo playing. Contributions and radical self-reliance help our community to best thrive. that is woods friendly (not going to spoil or leave trash) to donate to our community kitchen(s). Extra tarps and cord can always help. , otherwise it will be a long hike from the spring.